Data center technology company Switch will help create a 1 gigawatt solar energy project in Nevada, which will be the largest solar array in the United States, the company said today. The huge project underscore’s Switch’s commitment to running its operations with 100 percent clean energy, and showcases how the data center industry has taken a leadership role in shifting the U.S. economy to sustainable energy. 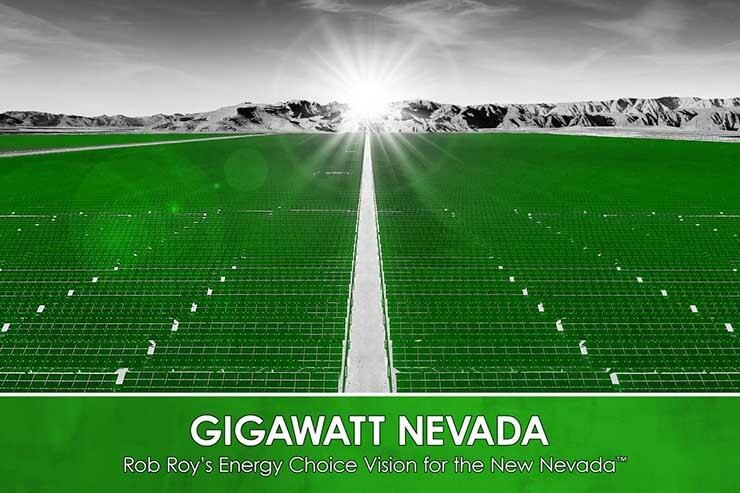 The project, known as Gigawatt 1, also makes good on a promise by Switch founder and CEO Rob Roy, who three years ago proposed that Nevada capitalize on its ideal environment for solar power generation. Largest Solar Project in the U.S.
Switch will partner with Capital Dynamics, a global investment firm that is a large backer of solar energy projects. Capital Dynamics recently acquired operations of First Solar, which partnered with Switch on two huge solar arrays to power its existing data center footprint in Nevada. With a planned 1 gigawatt of energy generation, Gigawatt 1 would be the largest photovoltaic solar array in the U.S., and the third-largest in the world. The two largest are in China. 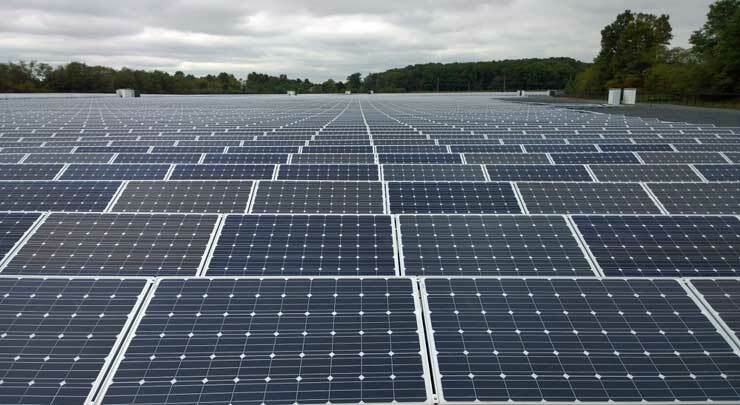 Switch projects that the huge project will offer solar energy at 4.9 cents per kilowatt hour. 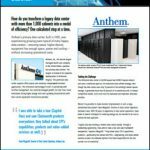 The project will be owned and developed by Capital Dynamics, and anchor tenants will include Switch, and several of the Switch CORE clients that currently partner with Switch for data center and telecommunication services in Las Vegas, where Switch operates one of the world’s largest cloud campuses. 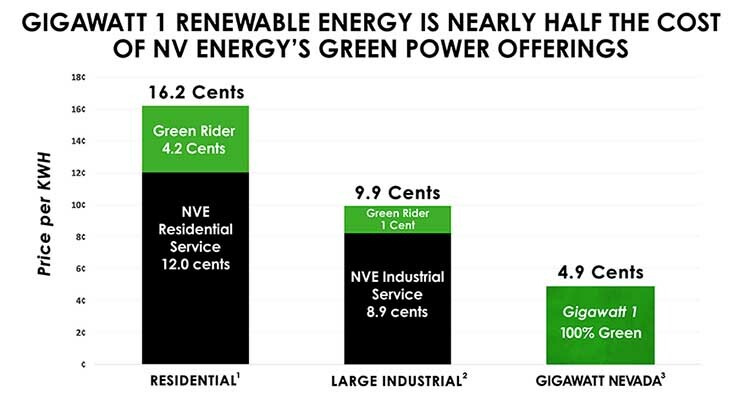 Many of these purchases by hyperscale data center providers have created new production of clean energy, as opposed to credits for use of clean energy from existing sources. This “additionality” is a key strategic priority for large cloud customers, who want their investments to support a longer-term shift away from fossil fuel. Switch is leading the push for multi-tenant data center providers to prioritize renewable energy for their customers. Others have followed suit, including Equinix, Infomart, Digital Realty and Iron Mountain. 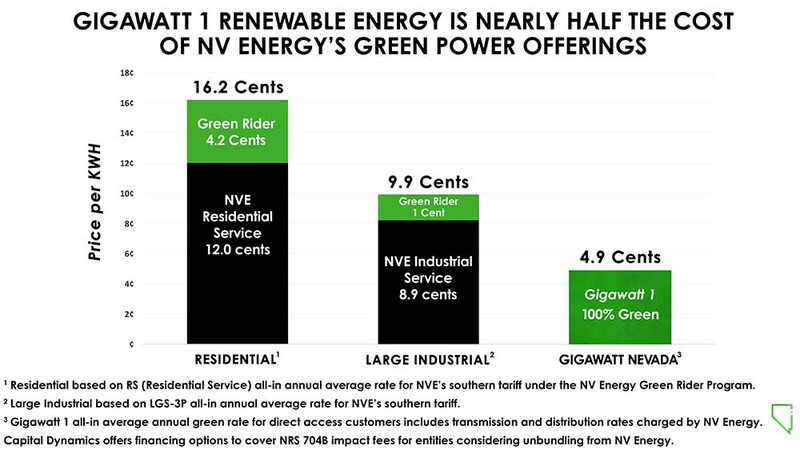 The Gigawatt 1 project will also benefit other consumers in Nevada and beyond. Switch said private and public sector customers are already in negotiations to join the project, which Switch says will offer renewable energy at lower prices than the cost of receiving renewable energy from NV Energy (Nevada Power) under its green offering called the Green Rider Tariff. 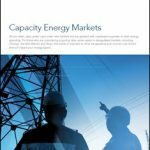 This type of affordable pricing is a key factor in the adoption of renewable energy, which often is available only at a premium to the standard utility energy cost. The project will be built with American-made solar panels, and use local Nevada labor, the companies said. Switch and Capital Dynamics will negotiate with their EPC contractors and I.B.E.W. 357 and Labors 872 on contract terms to build Gigawatt 1. The project portfolio is projected to create 1,250 construction jobs. Greenpeace, which has historically been a leading critic of the data center industry, cited the Gigawatt 1 project as a model for a larger transition in how U.S. companies source their energy. Switch was recently cited by Greenpeace for its leadership on renewable energy, which includes use of 100 percent renewable energy for all of its data centers, its advocacy for policies that support renewable energy, and its transparency in reporting green house gas emissions on a per-site basis.